Add your Standard Chartered card to Apple Pay and make it the default card for a faster, easier and more rewarding way to pay. Store your credit & debit cards in the Wallet app to make payment via Apple Pay now. Use Apple Pay where contactless payments are accepted. Hold your iPhone near a contactless reader with your finger on Touch ID or double-click the Home button when your iPhone is locked to quickly make your purchase. Double-click the side button & hold the display of your Apple Watch up to the contactless reader. A tap and beep confirms that your payment information was sent. Choose Apple Pay to pay on Mac in Safari, then complete the purchase with your iPhone or Apple Watch. Select the Apple Pay payment option at checkout, review your details, and place your finger on Touch ID. Protect your accounts even if you lose your device. If your device is ever lost or stolen, you can lock down Apple Pay remotely. To ensure privacy, Apple doesn’t save nor share any of your credit card details or your transaction information. 1. Update your device to iOS 11. 2. Update your SC Mobile App to version 3.3.7. 3. Login to your SC Mobile App, tap ‘Add to Apple Wallet’ button for the Standard Chartered credit card you wish to add to Apple Wallet. 4. From there, follow the onscreen instructions. 2. Open the Wallet app and tap the plus sign in the upper-right corner. 3. Use your camera to capture the card details or type it in manually. 4. Enter the card’s security code and then read and accept the Terms and Conditions. 1. Update your device to watchOS 4. 2. Open the Apple Watch app on your iPhone, and go to the My Watch tab. If you have multiple watches, choose one. 3. Tap Wallet & Apple Pay. 2. Open Settings, tap “Wallet & Apple Pay”. 3. Tap “Add Credit or Debit Card”. 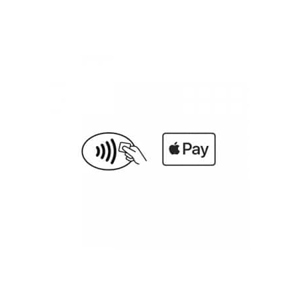 Apple Pay is a secure and easy-to-use mobile payment service that can be used to pay in stores wherever contactless payments are accepted; just look for the contactless or Apple Pay symbol. It enables the use of eligible cards through compatible Apple devices by leveraging existing Near Field Communication (NFC) technology to make mobile payments. You can also use it to make in-app and E-commerce purchases wherever the Apple Pay logo is displayed. Apple Pay requires devices with an embedded NFC chip that you tap to an NFC reader, instead of swiping a credit card, to pay for an item. *Apple Pay works with iPhone 6 and later in stores, apps, and websites in Safari; with Apple Watch in stores and apps; with iPad Pro, iPad Air 2, and iPad mini 3 and later in apps and websites; and with Mac in Safari with an Apple Pay-enabled iPhone 6 or later or Apple Watch. For a list of compatible Apple Pay devices, see https://support.apple.com/en-ae/KM207105. You can also use Apple Pay with an iPhone 5, 5C or 5S if the phone is paired with an Apple Watch, which provides the integrated NFC chip you’ll hold to an NFC reader to make the payment. You can use Apple Pay to make payments in stores with supported devices wherever contactless payments are accepted. Just look for the contactless and/or Apple Pay symbol at checkout. You can also use Apple Pay in participating merchant apps and on the web with supported devices. Look for the “Buy with Apple Pay” or “Apple Pay” button at checkout within the apps. Your card in Apple Pay is protected by “Touch ID” and/or your device “Passcode.” For your security, when you make a purchase using Apple Pay, you must either use “Touch ID” or the “Passcode” for your device. All of your payment information will be encrypted in the Secure Element, a dedicated chip in your device. For your security, when you add your Standard Chartered credit or debit card to Apple Pay, a Device Account Number is created for that card on that device. It is separate and unique to your device and different from your plastic card number. Your Device Account Number is used to make purchases with your card using Apple Pay. How will an Apple Pay transaction appear on my credit card statement? All transactions completed with Apple Pay will appear as they normally do on your credit card statement. There will be no difference. Are there fees or charges for using Apple Pay? No card transaction fees apply. If you need to make a return for a purchase made with Apple Pay you can receive refunds to your account. The key difference is that you may be asked to provide to the cashier the last four digits of your Device Account Number instead of the last few digits of your Card number. To find the last four digits of your Device Account Number for your Card, visit the “Wallet & Apple Pay” section of your device “Settings” or on the back of your Card in the Wallet app. If your card is lost or stolen, please contact us immediately on 600 5222 888 (or 800 4949 if you’re a Visa Infinite card holder and/or a Priority Client). Your physical card will be blocked and a new card will be sent to you. If my card is lost or stolen, can I still use Apple Pay on my device? Once reported as lost or stolen, you will not be able to use Apple Pay on your device. You will be required to update the device with your new card details. If your device is lost/stolen, please contact us immediately on 600 5222 888 (or 800 4949 if you’re a Visa Infinite credit card holder) and we can block your card on Apple Pay. We recommend that you also register for and use Find My phone. This will allow you to find, lock and delete details on your phone if it is lost or stolen.